An accomplished storyteller, poet, musician, and student of Gaidhlig, Ceallaigh S MacCath’s The Ruin of Beltany Ring is one of my favorite collections, period. Here she sits down for a quicky interview centering around her new novelette, Grandmother Mǽlkevejen’s Belly. Eternal Haunted Summer: How did you come up with the title Grandmother Mǽlkevejen’s Belly? 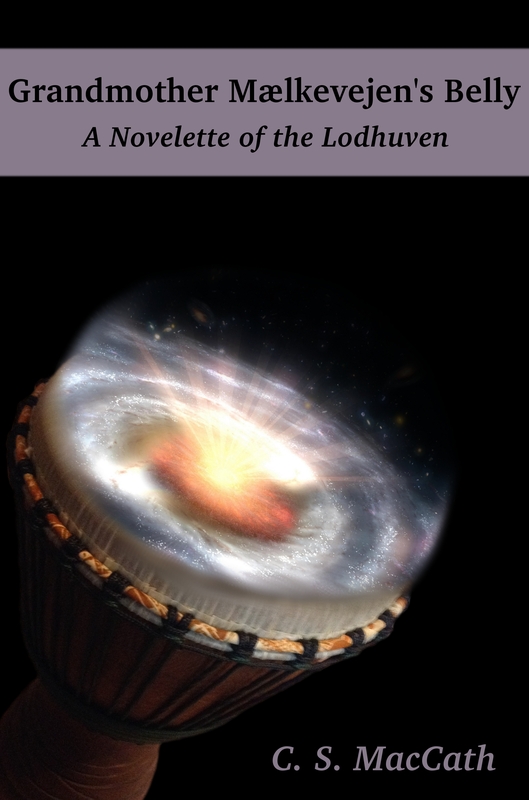 Ceallaigh S MacCath: The drummers and dancers in the tale have mythologized the Milky Way galaxy as a cailleach mohr, or great hag, and this is the source of the word ‘Grandmother’. Mǽlkevejen is the Danish translation of ‘Milky Way’, and there are many such translations interspersed in the tale as the names of spacefaring vessels. Interestingly, when I was recording the audio version, I was uncertain about the correct pronunciation of the word, so I contacted the Royal Danish Embassy in Ottawa to ask a native speaker! ‘Belly’ refers to the supermassive black hole at the center of the Milky Way, where the tale is set. EHS: Who are the Lodhuven? CSM: The Lodhuven are a sub-species of humanity genetically-altered for various reasons, most notably to enslave them. This enslavement is generational and manifests as a Lodhuven addiction to their masters. In this tale, the descendants of these slaves, who have long since broken this addiction at great cost, are seeking a way to repair the devastating damage to their genome and become fully human again. EHS: Where can readers find Grandmother Mǽlkevejen’s Belly? CSM: The Kindle edition is now available for pre-order on Amazon here. The Audible version is still in post-production, but it’s already linked to the story and should also be available soon on Amazon. EHS: What other stories are you planning for the series? CSM: Grandmother Mǽlkevejen’s Belly is actually a sequel tale to The Longest Road in the Universe which appeared in Murky Depths Issue #7 a few years ago. You can still buy the issue here, and you can take a peek at Nancy Farmer’s phenomenal illustrations of that tale here and here. I don’t have any plans to return to this universe at present, but I do love writing in it, so I probably will again from time to time. EHS: What is the weirdest, most wonderful Gaelic term you have come across in your studies? CSM: That’s a hard one! One of my favorites is cailleach-oidhche, lit. ‘old woman of the night’, which is Gaidhlig for ‘owl’.